With the 'temporary' closure of The Music Box, Joy Formidable's Wednesday show has now moved to The Mayan in downtown L.A.
2011 has been a busy year for the Northern Wales rockers performing at literally all the major music festivals - Lollapolaza, Reading, Leeds, Coachella and SXSW - all in support of their highly successful debut album the Big Roar. They've also opened up for the Foo Fighters after David Grohl anointed their hit single "Whirring" as the best song of 2011. Now, they start out 2012 on Monday with their last (Big Roar) North American tour with sold out shows on their first two dates in San Francisco and this Wednesday, they take their tour to The Mayan (originally scheduled for The Music Box) in downtown Los Angeles. Joy Formidable, known for their high-energy shows hopefully will gives us a preview of new songs off their follow-up album which they recorded in Portland, Maine in just three weeks. 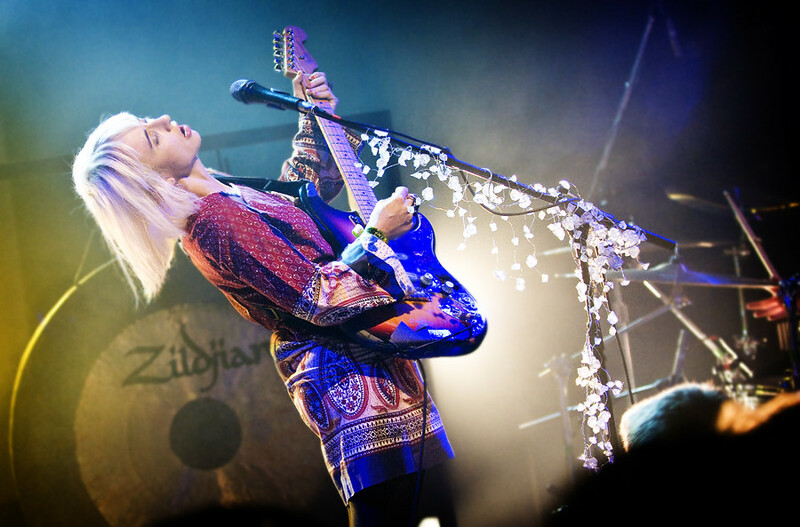 Look to hear Ritzy Bryan''s pop and sugary sweet vocals layers nicely above grungy guitars and hard beats, her soft appearance quickly evaporating when she transforms herself into a high intensity and aggressive guitar thrashing banshee. You can purchase tiks HERE.